Microsoft has made Service Pack 2 available for Windows Vista and Server 2008 - grab the installers within if you need 'em. Nvidia releases the third power pack to show off its CUDA technology, which includes some PhysX goodies and the SETI@home client. With Microsoft making the Windows Vista Service Pack 2 beta available on Friday, we check out how the new service pack will likely perform when it's officially released next year. Microsoft has announced the release of Windows XP Service Pack 3. The release schedule follows the rumours circulating last week. Windows XP SP3 released on 29th April? A report on the web suggests that Microsoft is preparing to release Windows XP Service Pack 3 to the public at the end of this month. 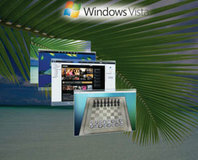 Microsoft has released the first Service Pack for Windows Vista. It's now available to download officially... and not just via registry hacks. We're heading for service pack city as Vista, XP and Office 2007 all get a tune up and a bit of spit 'n' polish. Microsoft has revealed that there will be no public beta for Windows Service Pack 1 this month. Instead, the public beta will happen "sometime this year". No Vista Service Pack this year? 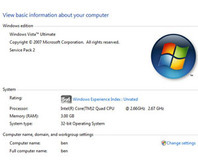 The final version of Windows Vista Service Pack 1 may not be delivered by Microsoft until early on in 2008. The latest round of leaked emails from Microsoft has revealed that the software giant has put Windows Vista Service Pack 1 on fast track. Microsoft is taking a step back on the software front to help older Operating Systems to emulate Windows XP.